Shifting your home or vehicle in Pune? In Pune We have successfully shifted 450+ homes/vehicles Recently. EZMove is the most seamless, smooth, hasslefree way to move your home, vehicle or office! Request a free quote by telling us a bit about yourself ! Now you can relocate with peace of mind! Looking for a packers and movers in Hadapsar, Kothrud, Viman Nagar? Need to relocate to Aundh,Baner, Kharadi, Pimpri or anywhere else? Relocation now made smarter in Pune! EZMove understand moving to a new place requires professional help, if you need to move on a short notice and with a lot of valuables you can’t manage yourself. So, we act as your guiding partner and serve you with prequalified and trusted packers and movers in Pune whom you can compare, choose and book based on your budgetary and personalized requirements. We take the pain out of your moving by understanding your requirements and then providing you with comparative lists of packers and movers Pune. A dedicated move coordinator then serves you with updated information and friendly help so that starting from comparing quotes to assigning a movers and packers company in Pune to finally getting relocated becomes as simple as you could just imagine. All it takes is 4 simple steps to move your home! It was a such an impressive experience from end-to-end. EZMove is an Outstanding Service provider with End to End Solution of Shifting. EZMove helped through the process right from taking stock of all the goods to suggesting possible partners and helping me select the right partner for my needs. It is a Herculean task to maintain a proper co-ordination between the service providers & the end users, which EZMove is doing with ease. Overall an excellent experience and would definitely recommend ezmove to anyone planning to relocate now or anytime in future. What it takes to be a partner with us? Verification of Legal Documents & Physical Location of Office/Branches. Adherence to Ezmove Service-level Agreement & Process is a must! Customer Friendly Approach & Service Orientedness. Transparency, Honesty & Honouring the quoted price without deviation. How can we be of help to your Organisation? Arrange a EZMove walkthrough at your organisation? 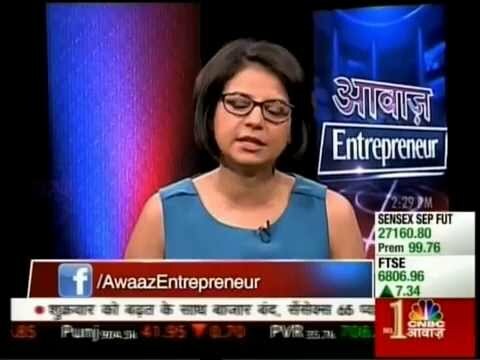 EZMove.in coverage on CNBC Awaz Entrepreneur.